IPL photofacial is a gentle energy-based treatment for common skin problems. At Serrão Rejuvenation Center, Dr. John Serrão, a board certified gynecologist who specializes in anti-aging medicine and non-surgical rejuvenation of the face and neck, offers IPL photofacial for women in Orlando, Winter Park, and the surrounding areas of Florida. Based upon intense pulsed light, our IPL photofacial is a remarkable treatment for treating hyperpigmentation, enlarged pores, rosacea, redness, and other problems that affect your appearance. The treatment is also recommended as a method for preventing some signs of aging, such as fine lines and mild wrinkles. IPL photofacials do not remove damaged layers of skin like ablative techniques. Rather, the treatment stimulates collagen production and cell turnover. This gives your skin a natural support structure that resists wrinkles, and the new cells are not damaged by excessive pigmentation, vascular irregularities, and other problems. Serrão Rejuvenation Center is a leading cosmetic practice that offers advanced treatments for aged skin and issues that diminish one’s appearance. We offer a range of treatment options, such as our IPL photofacial, to ensure that every patient’s needs are met and that the results exceed your expectations. 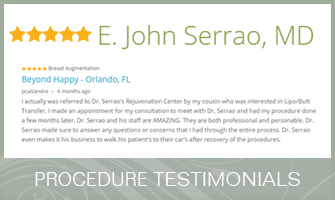 Dr. Serrão is respected amongst his patients for empowering them to make informed choices about their face and neck procedures. His expertise, knowledge, and experience are valued so much that many of our new patients come through referrals from friends and family. Learn more about our IPL photofacial treatments. At Serrão Rejuvenation Center, Dr. John Serrão, a board certified gynecologist who specializes in anti-aging medicine and non-surgical rejuvenation of the face and neck, offers IPL photofacial for women in Orlando, Winter Park, and the surrounding areas of Florida. To learn more, contact us to schedule a consultation and begin your rejuvenation today. IPL photofacial is a gentle energy-based treatment for common skin problems. At Serrão Rejuvenation Center, Dr. John Serrão, a board certified gynecologist who specializes in anti-aging medicine, offers IPL photofacial for women in Orlando, Winter Park, and the surrounding areas of Florida. Learn more about our IPL photofacial treatments. At Serrão Rejuvenation Center, Dr. John Serrão, a board certified gynecologist who specializes in anti-aging medicine, offers IPL photofacial for women in Orlando, Winter Park, and the surrounding areas of Florida. To learn more, contact us to schedule a consultation and begin your rejuvenation today. The IPL photofacial uses a special type of light energy that works on the lower layers of the epidermis. The light energy stimulates new collagen production and simultaneously eliminates areas of hyperpigmentation. The new collagen provides support to the outer layers of skin to reduce wrinkles and fine lines. How is IPL Photofacial Performed? The IPL photofacial takes about 30 minutes. You may need a series of five to eight treatments that are scheduled approximately three weeks apart. You may experience some mild sensations during the procedure, but you should feel very comfortable and relaxed. The handpiece is placed on the treatment areas and light energy is administered into the skin. How Long is the Recovery from IPL Photofacial? There is no downtime with the IPL photofacial. Your skin may look slightly red and feel a little warm. This indicates that the light energy is working. Some patients experience mild bruising and swelling. For best results, avoid exposing the area to sunlight and use a high-quality sunscreen. How Much Does IPL Photofacial Cost? 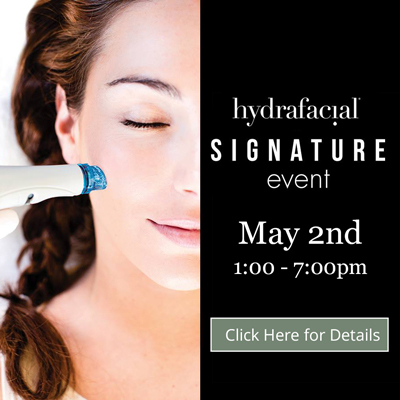 During the consultation, we provide pricing information to help you decide if the IPL photofacial is right for you. To help make the cost more manageable, we offer several options for financing.